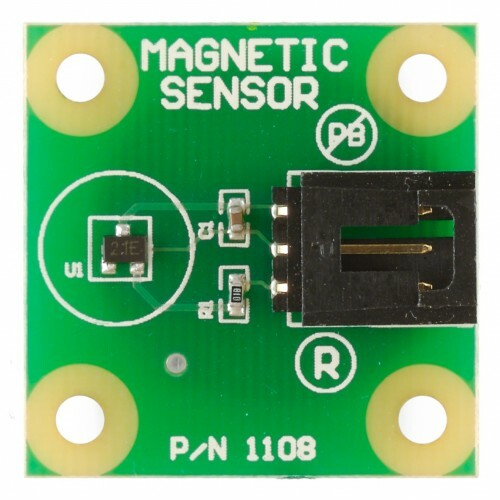 The 1108 is a Hall-effect sensor that provides a voltage output that is proportional to the applied magnetic field. 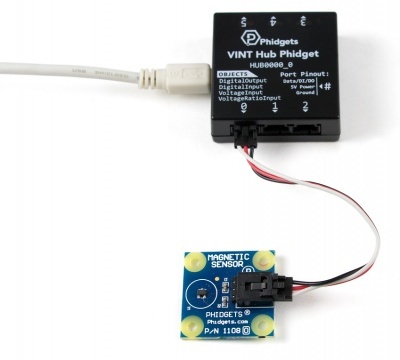 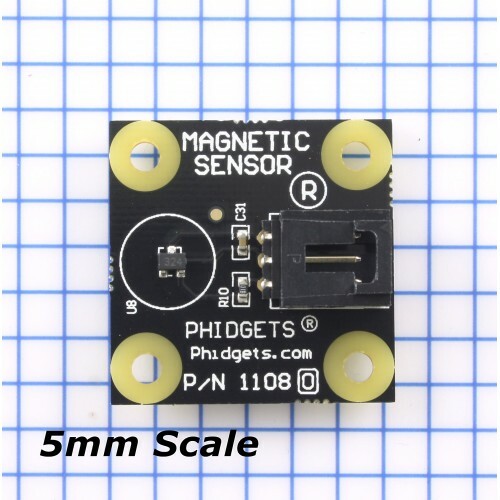 Connect the 1108 to the HUB0000 with the Phidget cable. 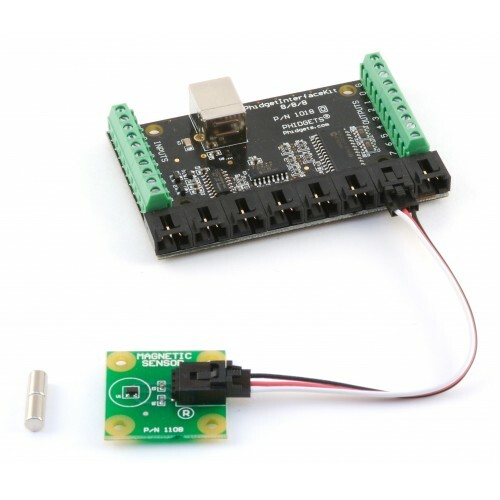 Now that you have everything together, let's start using the 1108! 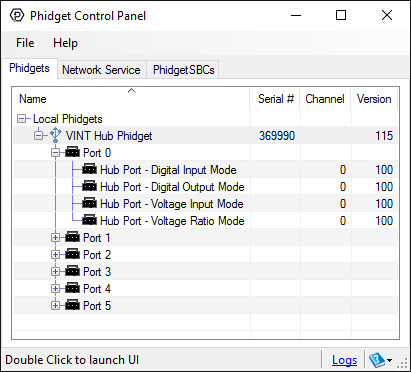 In order to demonstrate the functionality of the 1108, we will connect it to the HUB0000, and then run an example using the Phidget Control Panel on a Windows machine. 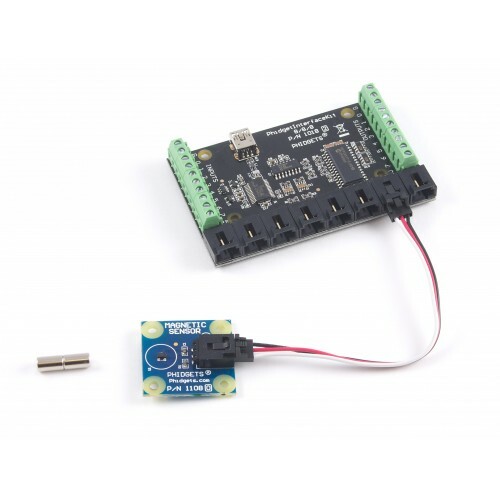 Linux users can follow the getting started with Linux guide and continue reading here for more information about the 1108. 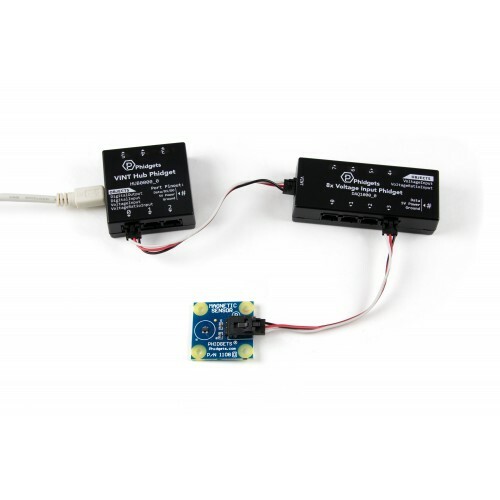 Select the 1108 from the Sensor Type drop-down menu. 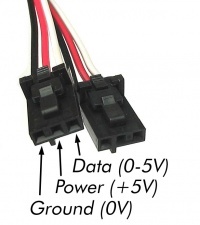 The example will now convert the voltage into Gauss automatically. 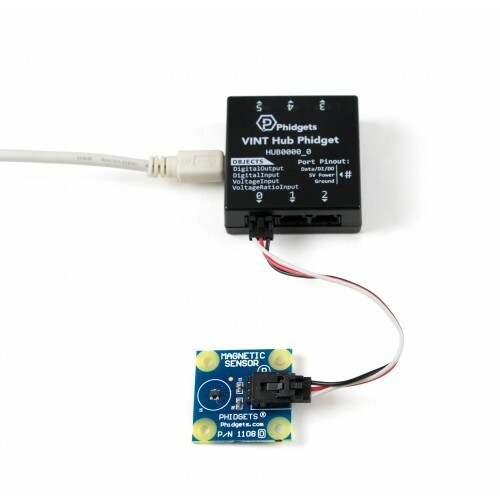 Converting the voltage to Gauss is not specific to this example, it is handled by the Phidget libraries, with functions you have access to when you begin developing! 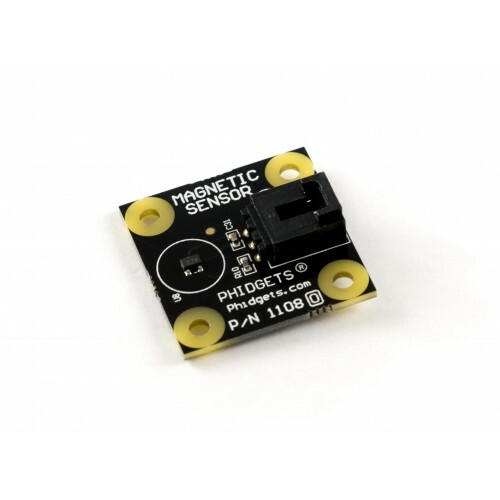 The 1108 is optimized, sensitive, and temperature-stable. 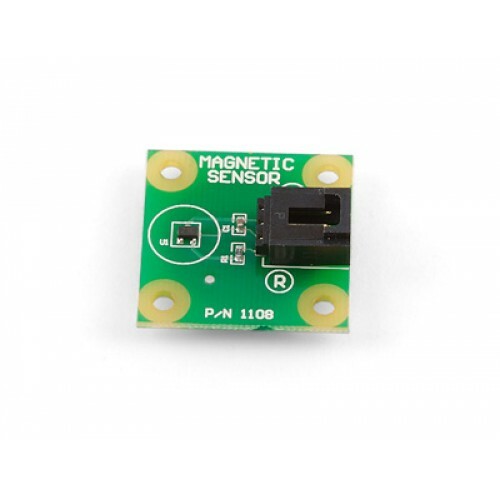 It is a ratiometric Hall effect sensor which provides a voltage output that is proportional to the applied magnetic field. 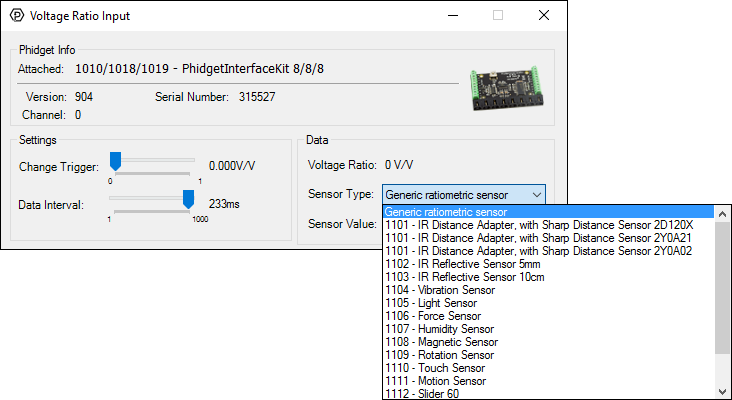 Accuracy can be improved on a specific device with offset and/or gain calibration (using known flux).